MarineSoft has stood for maritime know-how for more than 25 years. 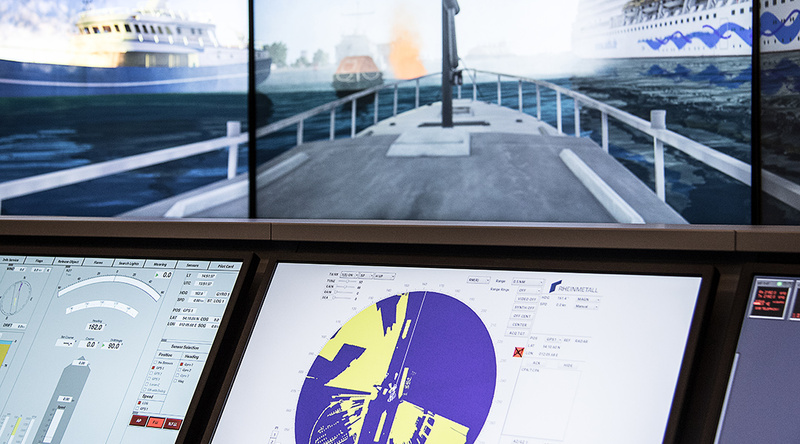 Our certified high-class maritime simulation systems guarantee highest quality and flexibility while having an attractive price-performance ratio. 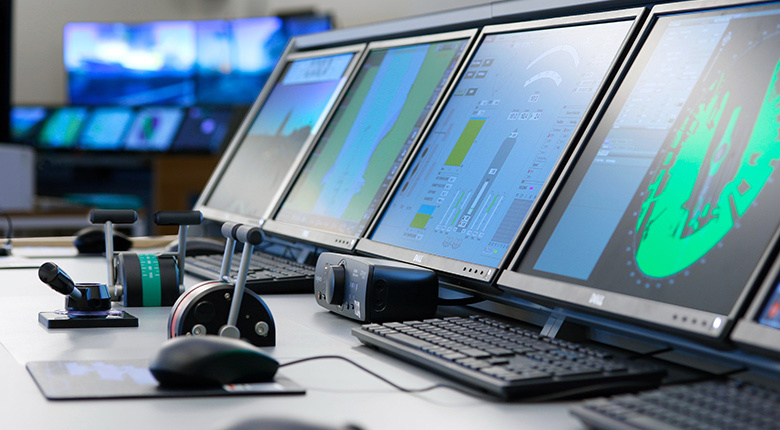 From part-task training to full-mission bridge systems or mobile simulation solutions, we are your partner for training and continuous education for bridge personnel. 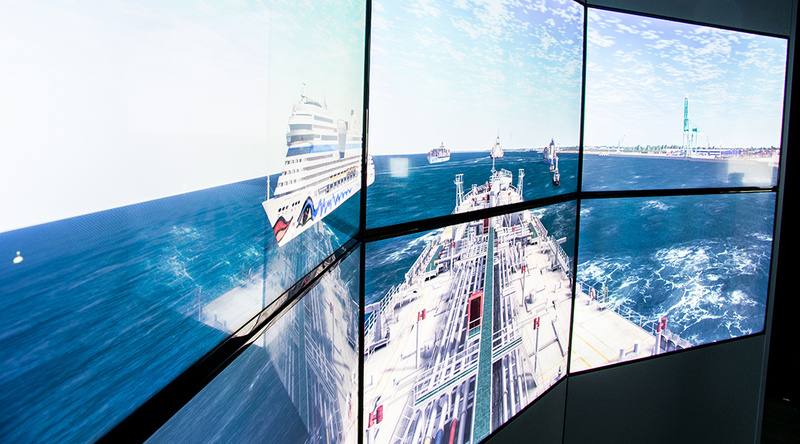 The simulation software ANS6000 and the visualization software DISI Xtreme are based on the longterm experience of a innovative german technology company. They have been designed for training and research activities in accordance to the STCW regulations of IMO and have been certified by Det Norske Veritas -Germanischer Lloyd. Our experienced personnel will find suitable solutions for your tasks. At any time of the simulation all environmental data like date, time, sea state, visibility, precipitation, clouds and other data can be changed. The representation of any type of visibility provides utmost realism to the navigator in simulator. Possibility to use generic equipment, loading of different type specific equipment as Graphic User Interfaces or connection of original instruments and equipment. 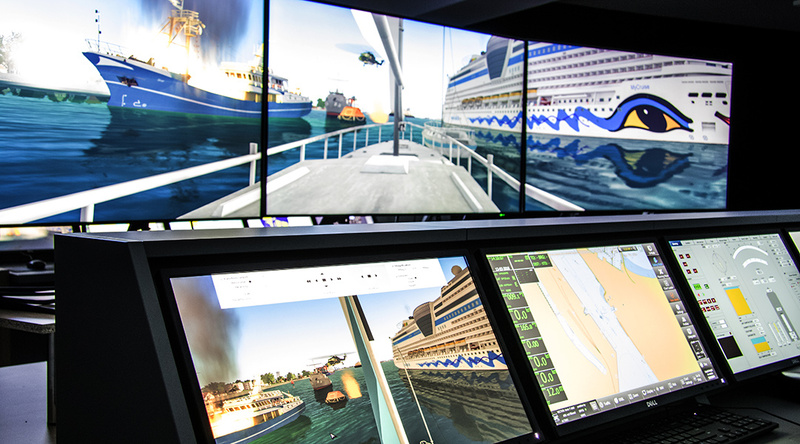 Intuitive Handling Navigators, from Cadets to Masters, are able to operate our ship handling simulator with their nautical experience. Nautical Realism All elements related to maneuvering and behavior of ships are available, e.g., bank effect, squat effect, ship-ship interaction, dragging anchor, thruster efficiency, etc. Malfunctions and Interference All possible malfunctions and/or interferences can be triggered on generic and original equipment, e.g., breakdowns, offsets, rudder jamming, loss of propulsion, RADAR effects, etc. Physical Realism Any effect that depends on water depth, seabed contour or type are calculated based on the hydrography data provided by ECDIS. Wind, current, tide, other ships, lines and anchors all directly influence the dynamic parameters of all objects in the exercise. Deck Operation Line handling, towing and anchor operations are presented and calculated in real-time and provide utmost nautical and physical realism. Communication Possibility for all types of communication, both external and internal with customized and programmable information; call the engine control room or contact a high-frequency station via a digital selective call. The visual system represents the reality – emergency flares fly with the wind, life rafts drift into the correct direction and buoys indicate the current. Advanced animations of pilots boarding or anchor handling enhance the training experience. The RADAR image is generated by Database Generation Station using as a source original ENC data and satellite image information. At the moment, five brand specific radars are available. 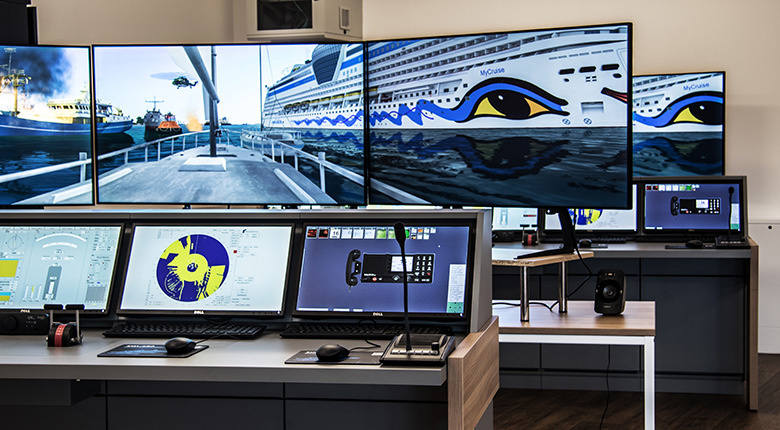 An IHO-compliant ECDIS, fulfilling all relevant standards, is the backbone of the ANS 6000. Complex towing maneuvers, with up to eight tugs, can be conducted in a realistic and physically correct way. Exercises – Any situation can be simulated. Each bridge can be either in the same exercise, and interact with each other, or in a completely separate one and train on their own. Train the full scope, from routine to emergency procedures – Route planning, standard maneuvers, collision regulations, complex traffic and emergency scenarios – nothing which cannot be done. Advanced Analysis – Automatically log events, analyze and recap maneuvers with sophisticated plotting tools, history tracks, vectors and surveillance reports with triggered markers and screenshots. Debriefing and Replays – During replays, the trainees can jump into the scene using the live replay function, enhancing the learning experience and keeping the motivation high. CCTV – A CCTV system can be connected to provide an advanced training and debriefing functionality. Excellent for enlargement in steps and adding of further components or functionalities. 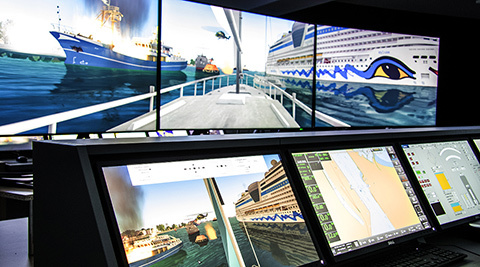 Specific modules for Dynamic Positioning and Anchor Handling Tugs provide advanced training. The System can be linked with other simulators like engine simulators, safety and security simulators, liquid cargo simulators, heavy lift and crane simulators. The system keeps running during exchange of components, due to technical issues or change of bridge equipment like different maneuvering handles. ANS 6000 includes all necessary parameters and effects to fulfill the standards for port risk assessments, accident investigations and integration into research networks. The complete system can be easily operated and monitored by a system manager tool. Remote maintenance from any place in the world, that provides internet access, is available. All models can be changed by everyone and at any time – the model database allows anybody to change parameters of ships, objects, databases and hydrodynamic data. Modern technology for the maritime industry: Our simulators combine original ship equipment with realistic simulations. 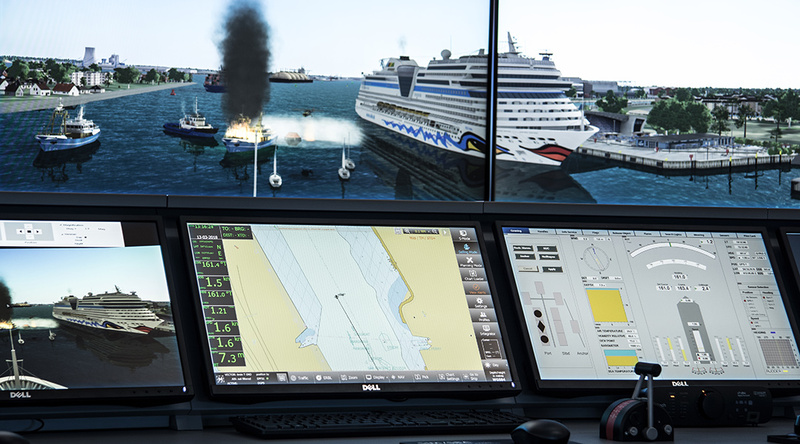 For training and continuing education of bridge personnel, standard procedures or even complex seafaring maneuvers can be planned and carried out. MarineSoft has stood for maritime know-how for more than 25 years. Despite the merger with the Bremen-based company benntec in 2015, the MarineSoft brand lives on! The employees at Rostock-Warnemünde continue to use their enormous knowledge and experience in the maritime industry in our projects. 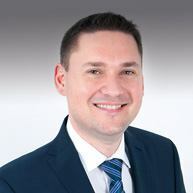 After having successfully worked together for many years, the merger between MarineSoft and benntec Systemtechnik GmbH took place in June 2015. This melding of two previously independent firms into a powerful company with the brand name MarineSoft is the consequent implementation of a forward-looking strategy in the area of "learning and training". 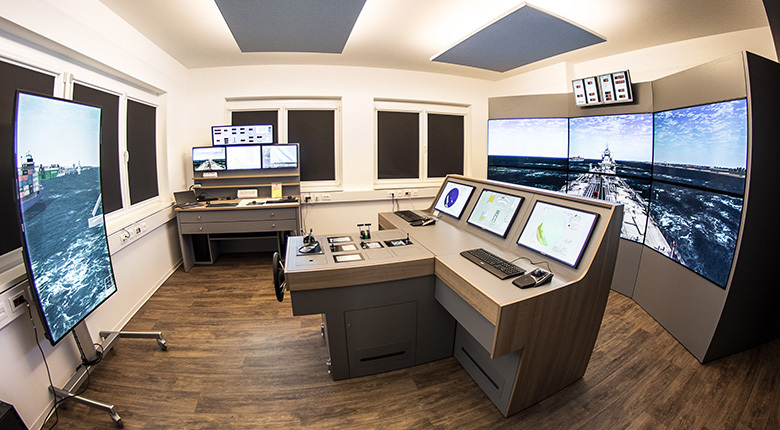 MarineSoft, at its location in Rostock-Warnemünde, will remain the specialist for maritime education and training solutions. Partners and customers will continue to receive reliable quality and innovative solutions. Some of the milestones for the international success of MarineSoft are from the participation, since 1993, in projects around the world; the establishment, construction, and modernization of maritime training centers and universities has been supported by MarineSoft with modern solutions in the field of knowledge transfer. From the Odessa National Maritime Academy in the Ukraine, to the ORON Maritime Academy in Nigeria, the Philippine Merchant Marine Academy to the Semarang Growth Center in Indonesia, MarineSoft took over project management tasks and delivered multimedial course materials, training and training software with simulations, even reconditioning and delivering a complete training ship. The slogan of this period is an example of the customer-oriented commitment: "We listen to the Mariner - Your Partner for Maritime Training Services”. The development and growth of MarineSoft is closely linked to the maritime industry. With the long-term experience of the founders in teaching and research in the maritime field, the company devoted itself to the development of market-ready solutions, especially in the complex area of maritime safety, including education and training. 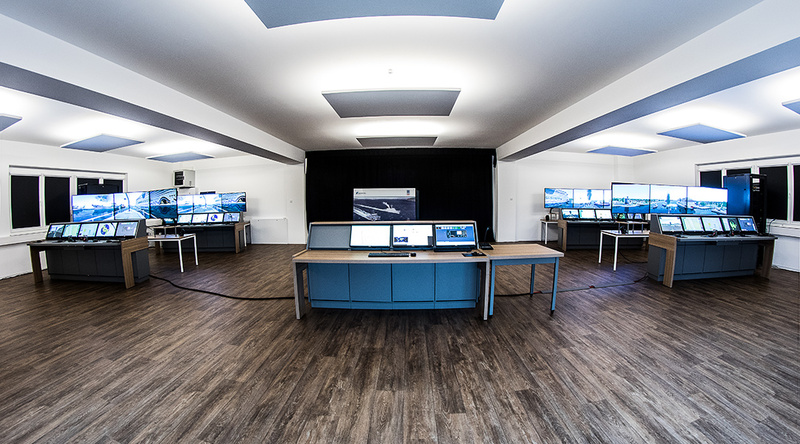 After the first projects, in the area of weather routing and ECDIS (electronic navigation charts), followed work that planted the seeds for the original business idea: companies were looking for new ways to conduct training (Dornier) and for simulations of machines (STN Atlas). Thus, the cornerstone was laid for the development of MarineSoft as a specialist for modern solutions in the field of knowledge transfer. The products and services under the name MarineSoft come from the company founded in 1990 as MarineSoft Development and Logistics company. This foundation was inspired by the combination of industry-specific know-how and innovative digital technologies to develop modern training solutions. What is currently part of the day-to-day business was then an absolute novelty: the development of an education and training program that, through modeling and simulation, shifted the technical environment into the classroom.